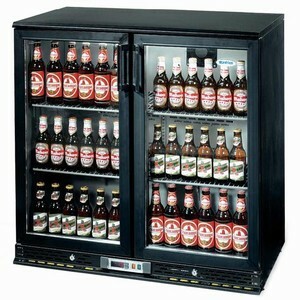 This 218 bottle capacity Undercounter Bottle Cooler by Infrico has a glass fronted double door. 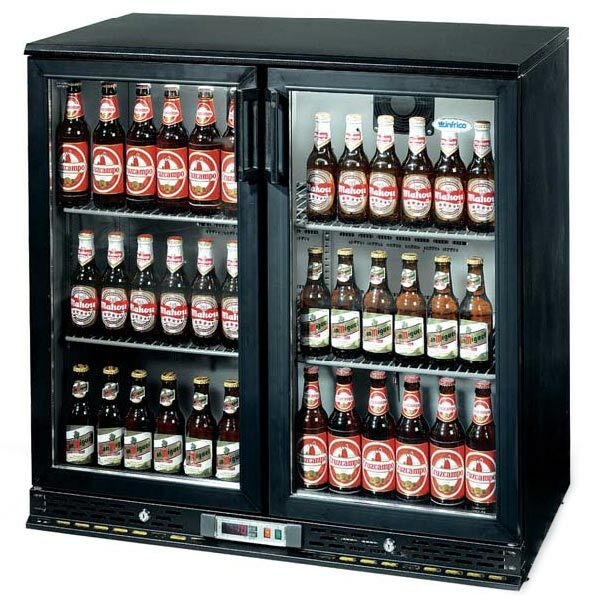 Designed for commercial use in bars and restaurants, this cooler features heavy duty adjustable shelving and also an internal light. Designed to be easy to maintain, this cooler has fully automatic operation and a wider spaced finned condenser for minimum maintenance.